Photo book fanatics who lined up outside stores overnight got their first crack Friday at a new cave themed Alec Soth photo book, getting so unruly in some cities that police were called to restore order. 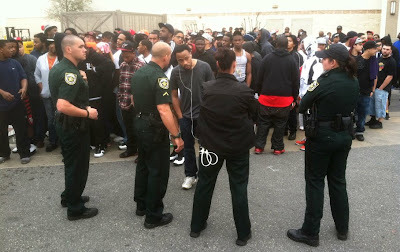 In Orlando, Fla., more than 100 deputies in riot gear quelled a crowd awaiting the release of the $50 Broken Manual. At a mall in Hyattsville, Md., one person was arrested for disorderly conduct. And in Greenwood, Ind., police said they canceled a Soth release after 400-600 people showed up Thursday night at a mall and were "panicking to get to the front of the line." The book's release coincides with the current exhibition at Sean Kelly Gallery in New York. The book, part of a cave-themed series, is a draw for so-called "Steidlheads" who collect signature photo books and can resell them online at a marked-up price, sometimes for hundreds more than retail. Among inner city intellectuals in particular, Steidl titles are seen as a badge of honor and often conspicuously displayed. Malls in Florida, New York and Maryland reported bringing in police to manage fans clamoring for the blank covered manual, which has star-like flecks of black. Some shoppers lucky enough to get their hands on a pair of books immediately posted them for sale on eBay at skyrocketing prices: $1,000 and up. Authorities did have some warning the book could cause mayhem. Earlier this month, police were called to a mall outside Albany after pushing and shoving broke out during a promotional event for the book. Orlando resident Gaby Llanos was in the crowd waiting to buy two copies of the book when the rush started outside Florida Mall. "It was complete havoc," said Llanos, 23. "People were running and hiding in trees so the police wouldn't find them." Steidl issued a statement Friday, saying, "As with the launch of all Steidl products, consumer safety and security is of paramount importance. We encourage anyone wishing to purchase our product to do so in a respectful and safe manner." 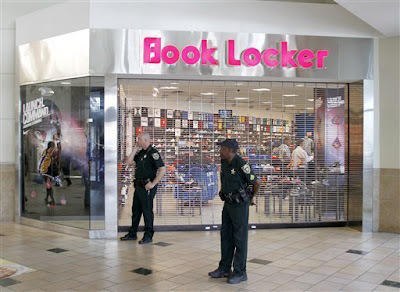 Steidl spokesman Matthew Kneller said the Book Locker store in New York City immediately sold out Friday. The book was also quickly out of stock in Cambridge, Mass., where people began lining up outside a House of Photos by Book Locker at 3 p.m. Thursday. 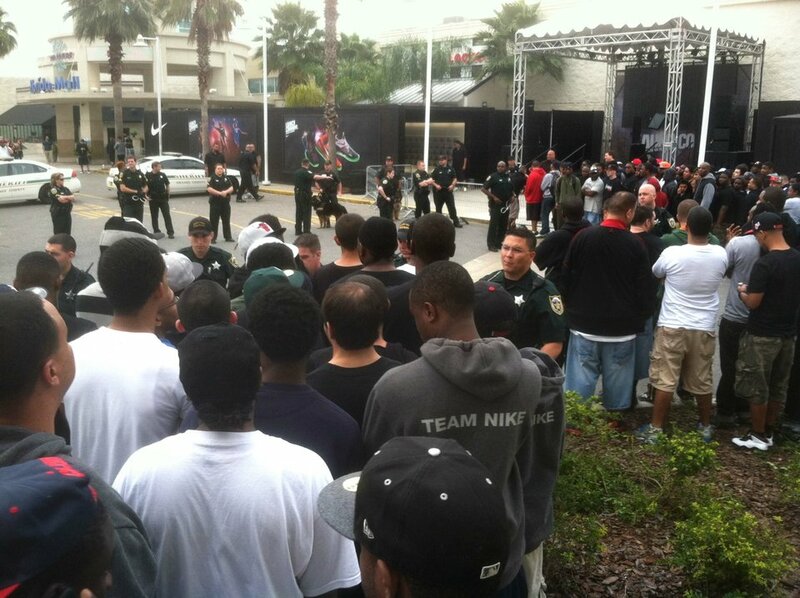 The store only had 12 copies of the book, however, so it handed out tickets to the first dozen people in line, and only those people waited, store manager Terrio Lakes said. 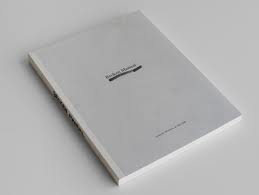 The book — which is being sold at Steidl's site and select photo galleries, Sean Kelly Gallery and Book Locker stores — is part of the Steidl's Foamposite line which originally debuted in 1998. Their cave theme is a nod to Florida, the host state for the All-Star game, and the longtime launching pad for the nation's off-the-grid caved hermit movement. Steidl has relied for years on its limited edition books to generate a lot of buzz with minimal advertising. "They keep them very limited, they keep them very hot that way," said Sam Poser, an analyst who covers Steidl and the book industry. During the past holiday season, Poser noted similar fights and incidents broke out across the country over a retro model of Sleeping by the Mississippi. And he said the most recent violence likely won't hurt Steidl's image. "Some press is better than no press," he said. This is hilarious! Perhaps the only way this could be any funnier were if I were Mr. Soth himself. I've seen some copies being sold at a surprisingly low price on the craigslist. I suspect it is some phishing scam though. You guys should be careful with that. Congrats for your 1001st post Blake. 1001 sounds to me way better than the too much perfect and expected 10^3. I was at the Albany event with my friend Charles and he left with a bloody nose after shoving a bearded elderly man who had just grabbed the last copy of the first printing of Christian Patterson"s "Red Headed Peckerwood". Unbeknownst to Charles, that geezer had a wicked left hook. Security was called in and we had to quickly book out of there (no pun intended). If you think this is crazy just wait until Nike's Soth sneaker line hits shoe stores later this Spring. I also included also included a link to the original article in the byline. I thought it was pretty clear that that was the article I was parodying, but I guess you can never be certain.